For our second day of girls week Mama, Emily, Sierra and I went dinosaur hunting. 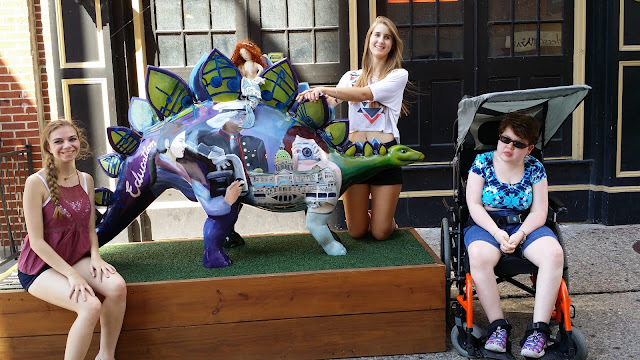 We explored all of Harrisburg seeing all kinds of different Dinos! Mama wants a drink too! My crazy Besties riding the "Horse Dino"
Emily: " Ewww " - Sierra " Oh Crap! " - Me " Why did I agree to this again?"